Draft: 2005, Boston Red Sox, 26th rd. Kirby Kali Yates…he and his wife, Ashlee, have a daughter, Oaklee Malia, and a son, Kove Kali…the family has a bulldog named Chubbs...his older brother, Tyler, pitched parts of five Major League seasons with the New York Mets (2004), Atlanta Braves (2006-07) and Pittsburgh Pirates (2008-09)…played in the Arizona Fall League in 2011 and 2012…graduated from Yavapai College (Prescott, AZ)…underwent Tommy John surgery during his freshman season at Yavapai and missed the 2007 season…attended Kauai High School (Lihue, HI)…originally signed by Rays scout Jayson Durocher. 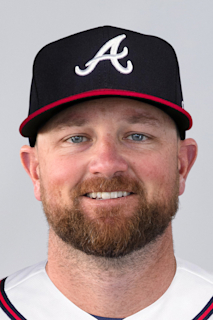 Set career highs in many categories, including appearances (65), wins (five), saves (12), IP (63.0), SO (90), ERA (2.14), WHIP (0.92) and opponent BA (.181)...Among all qualifying relievers, his .181 opponent average ranked second in the SD bullpen and eighth in the NL... His 1.50 home ERA (5 ER, 30.0 IP) ranked ninth in the ML and sixth in the NL among relievers who made at least 30 appearances in their own park...Did not allow a run in all of June, posting a team-high 14.0-scoreless IP streak across 12 outings from 6/3-30, allowing just six hits (one double) over the stretch...Had his scoreless-IP streak snapped on 7/7 at ARI, allowing a season-high three runs…his 0.79 ERA (3 ER, 34.0 IP) prior to the outing was the lowest among all ML relievers...Held opponents scoreless in 34 of his 39 first half appearances…his 1.43 ERA (6 ER, 37.2 IP) ranked seventh in the majors and his .167 opponents average ranked ninth...Went 2-3, converted 10 of his 11 save opportunities and posted a 3.20 ERA (9 ER, 25.1 IP) with 42 SO against six BB in the second half...Recorded saves in three consecutive outings twice (9/9-12 and 9/21-26)...his nine saves between August and September were fourth-most in the ML...Missed 10 games from 4/8-19 on the 10-day DL with right ankle tendonitis and missed three games on the paternity leave list from 7/3-5 due to the birth of his son, Kove Kali...Missed three games from 8/31-9/2 while on the bereavement list...Posted a 1.55 ERA (7 ER, 40.2 IP) in night games and a 3.22 ERA (8 ER, 22.1 IP) in day games...Had a 1.78 ERA (6 ER, 30.1 IP) and a .178 opponent average in one-run games... Limited righties to a .137 clip (17-for-124) while lefties hit .235 (24-for-102)...Limited the opposition to a .122 clip (11-for-90) with runners on base, .114 (5-for-44) with RISP, .077 (2-for-26) with RISP/2 out and .000 (0-for-4) with the bases loaded...Allowed just two hits to the 30 batters he faced in full 3-2 counts…his .083 opponent average in those scenarios was the 11th lowest among all NL arms (min. 30 batters faced)...Relied on three pitches: four-seamer (58.4%), split finger (36.3%) and slider (5.4%)...Following the season, was selected to the MLB roster for the 2018 Japan All-Star Series. Split the season between Salt Lake (AAA), LAA and SD, setting career bests in a multitude of categories... Began the season with Salt Lake and made six relief appearances, posting a 2.57 ERA with 14 SO against three BB... Selected to LAA on 4/22 and made his Angels debut that same day vs. TOR, allowing two earned runs... Designated for assignment by LAA the following day on 4/23 and claimed off waivers by SD on 4/26... Went on to set career bests with the Padres in ERA (3.72), WHIP (1.10), strikeouts (87) appearances (61) and IP (55.2)... His 20 holds led the SD bullpen…also inherited 16 runners this season and allowed only one of them to score, posting a 6.3 inherited runners scoring percentage…also had 14.07 SO/9.0 IP ratio, the most of any Padres reliver... His 3.72 ERA (23 ER, 55.2 IP) was the third-best ERA among qualifying Padres relievers... Allowed two-or-more earned runs in just five of his 61 appearances... His 15.6 pitches-per-game this season were the second-fewest on the team, behind only Brandon Maurer's 14.5... In his first 36 games with SD from 4/27-7/26, he owned a 1.89 ERA (7 ER, 33.1 IP), the lowest ERA of Padres relievers in that time...in those 36 games, he allowed one of his 11 inherited runners to score for a team-best .091 inherited runners scoring percentage (min. three appearances)... Overall on the season, opponents hit .211 (44-for-209) against him and just .158 while pitching at home... Owned a 1.67 ERA at home (6 ER, 32.1 IP) and a 7.03 ERA on the road (19 ER, 24.1 IP). With Yankees, set career-highs in appearances (41), wins (2), innings pitched (41.1) and strikeouts (50)...Retired 28 of 41 fi rst batt ers faced (68.3%)...Earned wins in consecuti ve appearances May 6 vs. Boston and May 9 vs. Kansas City...Charged with only loss of season June 27 vs. Texas aft er entering game in ninth inning following a three-hour, 35-minute rain delay (1 IP, 2 H, 3 ER, 3 HBP)...Tied career high with four strikeouts (third time) Aug. 29 at Kansas City, tossing 1.1 scoreless innings...Pitched in 14 games with Triple-A Scranton/Wilkes-Barre from June 30 - Aug. 15 and recorded four saves while pitching to a 1.62 ERA (16.2IP - 3ER). Despite not joining the Rays until their 63rd game, his 37 appearances tied for 9th among AL rookies and 2nd among AL East rookies behind NYY Dellin Betances (70)...His 10.50 SO/9 IP tied with teammate Jeff Beliveau for 2nd among AL rookies (min. 25 apps)...Recalled from Triple-A Durham on June 7 when RH Josh Lueke was designated for assignment...Didn't allow a run with the Rays until his fifth appearance, June 18 vs. BAL, when he surrendered homer No. 22 to major league home run leader Nelson Cruz...His ERA was 2.16 after his first 24 apps through Aug 19, but he permitted 10 runs (9-ER) over his final 13 appearances...Recorded his first and only major league save in the Rays 5-3 win on July 20 at MIN, replacing Grant Balfour with 2-on, 1-out in the 9th...Retired Twins HR leader Brian Dozier and Eduardo Nunez to earn the save...Only faced one batter July 27 vs. BOS, striking out fellow Hawaiian Shane Victorino on 14 pitches to escape a 2-out, 2-on jam in the 7th...On July 9 vs. KC, surrendered a 3-run homer to Salvador Perez with one out in the 9th inning, wiping out a 4-2 Rays lead in an eventual 5-4 loss to the Royals…opponents hit only .182 (4- for-22) off him with 2 outs and runners in scoring position, but one of those hits was a grand slam by DET Victor Martinez on Aug 20...At the time of his recall from Triple-A Durham, was 16-for-16 in save opps, most in the International League...For the second consecutive year, led all Rays minor leaguers in saves...Allowed only one run in 25 apps with Durham… the only run he allowed scored on a fielder's choice...Opponents were 1-for-29 with runners in scoring position…lefties were 2-for-40...During his pro career has struck out 461 batters in 352.1 innings, a ratio of 11.77 SO/9 IP. Named Minor League Relief Pitcher of the Year by the Rays baseball operations staff…spent the entire season with Triple-A Durham and went 3-2 with 20 saves (in 23 save opps) and a 1.90 ERA (61.2-IP, 13-ER)... Recorded 93 SO and only 23 BB in 61.2 IP, an average of 13.57 SO/9 IP, 2nd best among all Triple-A relievers…limited opponents to only 2 HR and a .175 avg. (38-for-217), 4th best among IL relievers... Named to the International League All-Star Game…prior to the break, went 3-1, 10-for-11 in save chances and a 1.03 ERA (43.2-IP, 23-H, 5-ER, 16-BB, 70-SO) in 36 games…after the break, had a 4.00 ERA (18-IP, 8-ER) in 15 games... His 20 saves led all Rays minor leaguers and tied for 3rd in the IL…also ranked 3rd in the IL in appearances (51) and games finished (38). Averaged 12.44 SO/9 IP for Double-A Montgomery, highest among Southern League relievers...ranked tied for 2nd in the SL with 39 games finished and 4th in the Rays organization with 16 saves...pitched to a 0.65 ERA (27.2-IP, 2-ER) with 40 SO in 19 games from June 30-Aug 16...named SL Pitcher of the Week for August 6-12 after recording 2 wins and a save in a 5-game series with Jackson...allowed only 1 of 22 inherited runners to score...pitched to a 2.45 ERA (11-IP, 3-ER) with 2 saves in 10 apps with the Phoenix Desert Dogs in the Arizona Fall League. Missed the first two months of the season while recovering from offseason shoulder surgey... started a rehab assignment with the GCL Rays on June 22 and made 4 starts there before being reinstated from the disabled list with Class-A Charlotte on July 3...started the season with 10 scoreless outings spanning 21.2 IP...did not allow a run until Aug 12 at St. Lucie...limited opponents to a .128 avg. (14-for-109)...since the 2005 season only one Florida State League pitcher (min. 30 IP) has posted an opp avg. that low: Bradenton's Diego Moreno (Pirates) in 2010 (.105). Made his pro debut with Rookie-level Princeton and averaged 16.75 SO/9 IP in 14 games...pitched to a 1.06 ERA (17-IP, 2-ER) with 32 SO over his final 9 apps. September 3, 2018 San Diego Padres activated RHP Kirby Yates from the bereavement list. August 31, 2018 San Diego Padres placed RHP Kirby Yates on the bereavement list. July 6, 2018 San Diego Padres activated RHP Kirby Yates from the paternity list. July 3, 2018 San Diego Padres placed RHP Kirby Yates on the paternity list. April 20, 2018 San Diego Padres activated RHP Kirby Yates from the 10-day disabled list. April 9, 2018 San Diego Padres placed RHP Kirby Yates on the 10-day disabled list retroactive to April 8, 2018. Right ankle tendonitis. August 14, 2017 San Diego Padres activated RHP Kirby Yates from the bereavement list. August 11, 2017 San Diego Padres placed RHP Kirby Yates on the bereavement list. July 17, 2017 San Diego Padres activated RHP Kirby Yates from the paternity list. July 14, 2017 San Diego Padres placed RHP Kirby Yates on the paternity list. April 26, 2017 San Diego Padres claimed RHP Kirby Yates off waivers from Los Angeles Angels. April 23, 2017 Los Angeles Angels designated RHP Kirby Yates for assignment. April 22, 2017 Los Angeles Angels selected the contract of RHP Kirby Yates from Salt Lake Bees. April 5, 2017 Los Angeles Angels sent RHP Kirby Yates outright to Salt Lake Bees. April 2, 2017 Los Angeles Angels designated RHP Kirby Yates for assignment. October 5, 2016 Los Angeles Angels claimed RHP Kirby Yates off waivers from New York Yankees. September 2, 2016 New York Yankees recalled RHP Kirby Yates from Pulaski Yankees. August 30, 2016 New York Yankees optioned RHP Kirby Yates to Pulaski Yankees. August 17, 2016 New York Yankees recalled Kirby Yates from Scranton/Wilkes-Barre RailRiders. June 28, 2016 New York Yankees optioned RHP Kirby Yates to Scranton/Wilkes-Barre RailRiders. January 8, 2016 Cleveland Indians traded RHP Kirby Yates to New York Yankees for cash. January 5, 2016 Cleveland Indians designated RHP Kirby Yates for assignment. November 25, 2015 Tampa Bay Rays traded RHP Kirby Yates to Cleveland Indians for cash. November 20, 2015 Tampa Bay Rays designated RHP Kirby Yates for assignment. September 1, 2015 Tampa Bay Rays recalled RHP Kirby Yates from Durham Bulls. August 16, 2015 Tampa Bay Rays optioned RHP Kirby Yates to Durham Bulls. July 31, 2015 Tampa Bay Rays recalled Kirby Yates from Durham Bulls. July 1, 2015 Tampa Bay Rays optioned RHP Kirby Yates to Durham Bulls. June 23, 2015 Tampa Bay Rays recalled Kirby Yates from Durham Bulls. June 10, 2015 Tampa Bay Rays optioned RHP Kirby Yates to Durham Bulls. June 9, 2015 Tampa Bay Rays sent RHP Kirby Yates on a rehab assignment to Durham Bulls. June 4, 2015 Tampa Bay Rays sent RHP Kirby Yates on a rehab assignment to Charlotte Stone Crabs. April 15, 2015 Tampa Bay Rays optioned RHP Kirby Yates to Durham Bulls. April 15, 2015 Kirby Yates roster status changed by Tampa Bay Rays. June 7, 2014 Tampa Bay Rays recalled RHP Kirby Yates from Durham Bulls. March 13, 2014 Tampa Bay Rays optioned RHP Kirby Yates to Durham Bulls. November 20, 2013 Tampa Bay Rays selected the contract of Kirby Yates from Durham Bulls. March 31, 2013 Kirby Yates assigned to Durham Bulls from Montgomery Biscuits. January 10, 2013 Tampa Bay Rays invited non-roster RHP Kirby Yates to spring training. April 5, 2012 Kirby Yates assigned to Montgomery Biscuits from Charlotte Stone Crabs. July 3, 2011 Kirby Yates roster status changed by Charlotte Stone Crabs. June 22, 2011 sent RHP Kirby Yates on a rehab assignment to GCL Rays. April 5, 2011 Charlotte Stone Crabs placed RHP Kirby Yates on the 7-day disabled list. September 14, 2010 Charlotte Stone Crabs activated RHP Kirby Yates from the 7-day disabled list. August 20, 2010 Charlotte Stone Crabs placed RHP Kirby Yates on the 7-day disabled list. August 12, 2010 RHP Kirby Yates assigned to Charlotte Stone Crabs from Bowling Green Hot Rods. April 5, 2010 Kirby Yates assigned to Bowling Green Hot Rods from Princeton Rays. June 22, 2009 Princeton Rays signed free agent Kirby Yates.